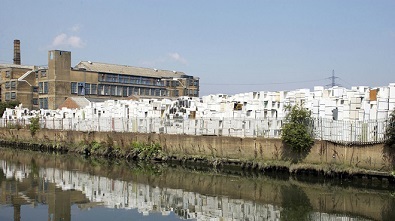 When London won its bid to host the 2012 Olympic Games, the fortunes of Stratford, a somewhat deprived area with many brownfield sites, improved beyond expectation. A main factor in London's successful bid was the firm commitment to regenerate Stratford, where the majority of the games took place. Following £9bn investment to host the Games, the promise of affordable homes for people on low incomes and substantially improved employment prospects for locals has been delivered. 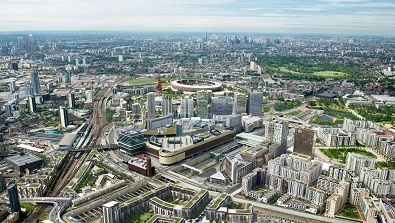 Furthermore, the Olympics project acted as a catalyst for general investment which has been increasingly flowing in to Stratford long since the Games finished. Latest investment figures highlight that almost £9bn is being pumped in to the east London town of Stratford, in the London Borough of Newham. This investment will generate more than 42,000 jobs and create in excess of 35,000 homes, delivering a massive boost to the UK economy while providing much-needed housing for London's burgeoning population. A report published by the Centre for Economics and Business Research (CEBR) shows a massive shift in perception of Stratford as a desirable area to live in and invest. The new postcode area E20 is now seen by Londoners as one of the top places to live in the capital. 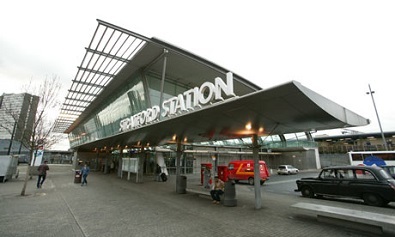 With world-class transport connections, Stratford Station is now the sixth busiest railway station in London with more than 100 million users annually. Stratford has also been selected as east London's major hub for the Crossrail project, the most significant infrastructure works ever to be undertaken in the UK, set for completion in 2019. Large-scale developer Westfield was one of the first companies to see the potential of Stratford, with its retail park development - Westfield Stratford City - now Europe's largest urban shopping centre. It has created 10,000 jobs and is valued at around £2bn. 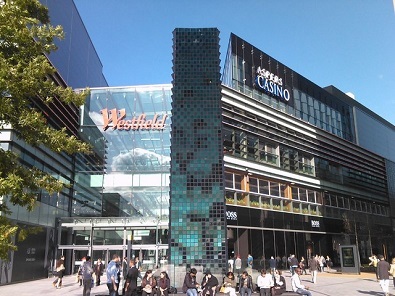 Within the first year of opening to the public, Westfield had attracted 47 million visitors. Having enjoyed success with their Stratford location, Westfield is now set to invest hundreds of millions of pounds more in a student accommodation, hotel, apartment and offices development - Angel Lane – delivering hundreds of jobs and 1,500 affordable homes. Loft-style living specialists Manhattan Loft Corporation have also chosen Stratford as an investment destination. The company are investing £300m on the development of a unique structure called Manhattan Loft Gardens, a 42-storey, double-cantilevered tower with expansive living spaces, three sky gardens and a design hotel. The development will provide more than 200 homes and generate 100 jobs with construction already underway in the area. Birkbeck and the University of East London have completed the £35m University Square in Stratford which opened in autumn 2013. This major new university campus will meet the growing aspirations of local people at a time of great change and opportunity in east London. 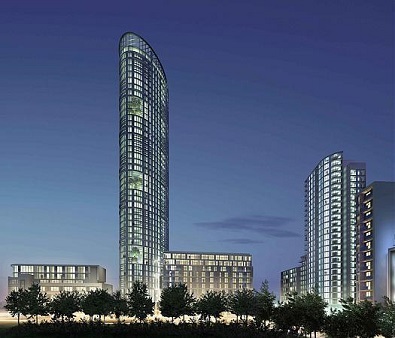 Genesis Housing Association is set to complete a £200m residential 43-storey tower block based in Stratford's high street called Stratford Halo. The development will bring an extra 704 homes to the borough, many of them available for social rent. 401 of the development's apartments were purchased by M&G Investments in an innovative deal for £125m, to be made available for private rent. The Stratford Halo initiative is thought to be the biggest single investment of its kind in the private rented sector and the first in London. A further 1,200 homes and 1,000 jobs are to be delivered by two major mixed-use developments in Stratford Strand East's £700m commercial and residential district and The International Quarter (TIQ), a joint venture between Lend Lease and London and Continental Railways (LCR) to create a £2bn commercial and residential development. Lend Lease also submitted planning at the end of 2013 for a new 500 bedroom hotel. It is not purely large-scale investment that is driving Stratford's transformation. The area is also attracting prestige sporting and music events such as the UEFA Champions Festival (football), Global Champions Tour (show-jumping), Yahoo! Wireless Festival and Hard Rock Calling, attracting over 500,000 visitors to Stratford over the summer. Mayor of Newham Sir Robin Wales said: "Stratford is transforming at a pace like no other place in London or even Europe. The regeneration of this area has taken decades of planning and investment in areas such as transport infrastructure." "We have worked hard to ensure that we can deliver on the Games' promise of regenerating the East End of London as well as the legacy benefits, both economic and social. By 2025, we envisage that there'll be a minimum of £22bn invested in the area which will bring 35,000 new homes and 100,000 new jobs. The latest investment figures show we are well on our way to achieving this." John Burton, director of development for Westfield who received an OBE for his involvement in the regeneration of Stratford in the 2013 New Year Honours commented: "The Games gave Stratford a momentum but for the area it was just the beginning. Stratford has so much to offer in terms of location, connectivity, green space and culture. Westfield Stratford City has over 250 retailers including John Lewis, M&S and Waitrose as well as over 70 places to dine." "For a company like Westfield, the Games gave us unprecedented global exposure and has attracted the attention of international retailers, an increasing number of which are making their UK debut in Stratford. Looking to the future we expect Stratford to be the launch place for more international retailers entering the UK market and an increasing number of tourists, providing more jobs for the local area." Stratford has become one of the UK's most successful regeneration projects ever with businesses from both the UK and overseas recognising the potential and investing billions into the redevelopment of the area. However, it is not just the focus of large-scale investors that has shifted towards Stratford. What was once one of the most deprived areas of London has now become the new prime market for both residential and commercial property. With investor sentiment towards Stratford at the highest levels ever seen in any part of London, this is a market very much on the upturn for years to come.